A wonderful worldwide quiz name using the indefinite article. A fun way of fixing its rules. 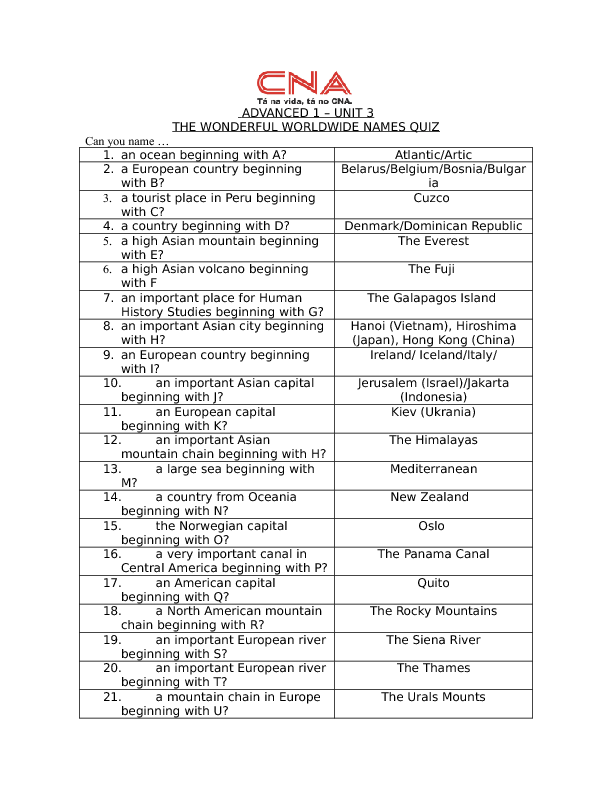 You can do it first by yourself, then in pairs, or even in groups and have fun in this game with your peers challenging your geographical knowledge in English.